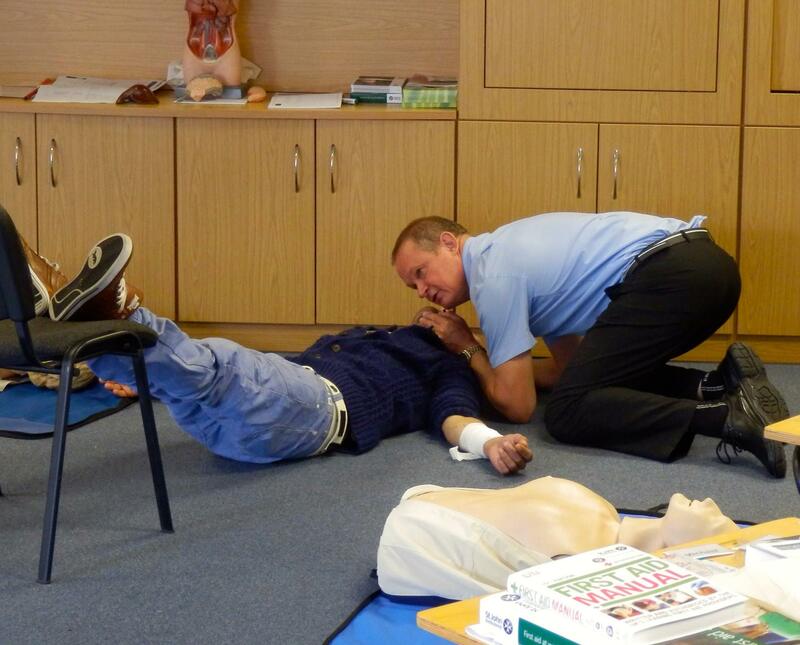 St John Training Services Guernsey is the Bailiwick’s leading provider of First Aid training. 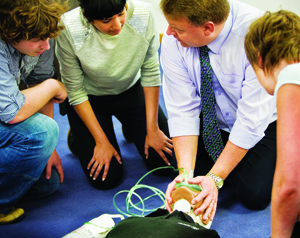 Our professional trainers are qualified to the highest standards to teach life saving skills. They are drawn from members of your community including the emergency services, health and teaching professions. We believe it is vitally important that people have the confidence to use their first aid skills without hesitation wherever and whenever an accident occurs. St John will provide all students who successfully pass one of our approved first aid courses with ‘Good Samaritan’ insurance cover at no extra charge for the duration of the validity of their training qualification because we are so confident in the standards of our first aid training. This insurance covers students against claims arising from first aid they may have delivered outside of their workplace, club or association and not covered by any other insurance. Along with the variety of courses outlined in our brochure we are able to offer ‘bespoke’ courses ‘tailor-made’ to meet your own requirements, not only in course content, but also time commitment and cost, ensuring that the training we provide meets your requirements and expectations. Training may be facilitated at our Training Centre at Les Cotils, St Peter Port or at a suitable venue of your own. St John has provided free first aid training for children in years three, four and five since 2008. The ‘not for profit’ organisation also contributes to the year six Safety Calling Challenge in schools. St John receives sponsorship from Specsavers Opticians which has enabled St John Guernsey to teach first aid to around 2,000 students in the last year alone, and a total of around 12,000 students since the programme began in 2008. 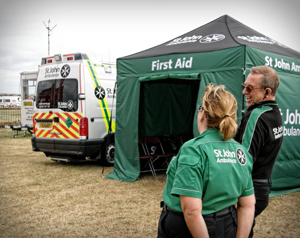 Each class is given two one-hour sessions of the programme, currently delivered by Katie Sweeney or Suzanne Torode, St John’s dedicated school’s first aid trainers. Topics covered in the sessions vary between age groups and range from first aid kits to help with poisons, bites and stings to seizures, chest pain and basic resuscitation. Originally the course followed the Young First Aider curriculum, but St John have recently introduced the Student First Aid Course which consists of a new flexible syllabus and enables schools to customise the sessions to fit their requirements. St John’s school first aid trainer, Katie Sweeney, said: “Learning first aid helps young people develop the confidence and skills which in the most severe cases could be the difference between a life lost and a life saved. Biker Down is a FREE first aid course specially designed to prepare motorcyclists to deliver life-saving aid after a motorcycle accident. Since January, a total of 42 people have taken the course with St John Ambulance Guernsey.